We Create Unique Arrangements for Any Occasion. "Blooms of Dunwoody was sooo helpful this week! I wanted to send flowers to my friend, and I wanted to add a little personal flair! I worked with the Blooms floral designer to arrange the flowers she loves best." See Our Full Collection of Fresh Cut Flowers. Suzanne Conreaux Quit Her High-Profile Corporate Job When She Realized This. "My husband asked me, 'If you had a billion dollars, what would you do?' And I thought, I would find a way to help people celebrate life's moments, big and small—a way to bring a little joy to someone every day. I realized my billion dollar dream wouldn't take a billion dollars. So I quit my job, which I loved, to help people plan and celebrate, and to open a neighborhood florist (inspired by the flower shops on the streets in Europe). When you really think about it, these days we’re starving for physical reminders of love... but there’s something ancient and moving about getting flowers. The right flowers say what you can’t quite put into words. Giving someone a flower, is the purest gesture possible. And there's never a wrong time for it! From a timid first date, to a hero’s return, every event deserves flowers. Although, I have to admit, my husband Pat has showed me that, the best flowers, are just because. So, now I have the best of both worlds: Event Planning & Flowers. Whether you need help planning a private dinner for a couple friends or a corporate retreat for a couple thousand, my competent staff and I can help you map out even the tiniest details, make you look good, and ensure you're poised for success. Whether you're part of our Dunwoody family, or hail from far away, Blooms of Dunwoody is all about community—working together, supporting one another, and celebrating together—and we would love for you to join us. So, stop in and tell us about what you're celebrating! Or maybe buy yourself some flowers... just because." Taking on an event takes courage. Pulling it off seamlessly takes an artisan approach. Q: Why should I buy a $75 bouquet from Blooms when I can get something for $17 from Kroger? A: We believe that flowers hold a deep sentimental value, and because of that should be handled and delivered with a serious commitment to personal care. We work hard to assure that quality, design and customer service are hallmarks of your Blooms experience. This demands that we invest a little extra into our staff and our rotation of flower inventory. While you might be able to find cheaper flowers at a local grocery store, or advertised cheaper at an online competitor, you won’t get the same quality for this price anywhere else. At a grocery store or online florist your flowers will be 6-10 days older and will likely include a number of cheap fillers. We’re very proud of the quality and craftsmanship put into our blooms. If you aren’t satisfied for any reason, we will come pick up your arrangement and replace it — free of charge! 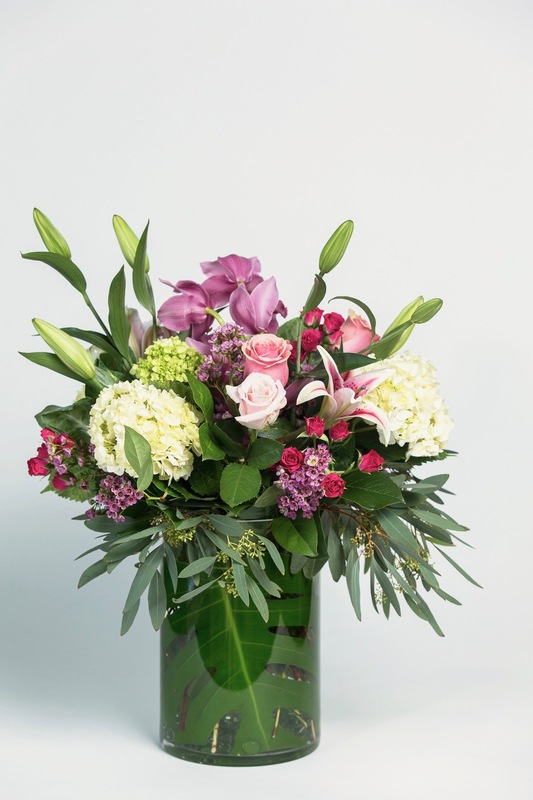 A: Our “designer's choice” is typically our fan favorite - it combines the best and brightest seasonal flowers of and invites our experienced designers to have a little fun so you get something special and unique each time. You can’t go wrong and you will never get the same design twice! We get some flowers just for a few weeks each year so Designer’s Choice allows you to get the amazing flowers. We offer price ranges from $35-400 for Designer’s Choice so you can get something for any occasion. For more info, check out our FAQ or give us a ring!